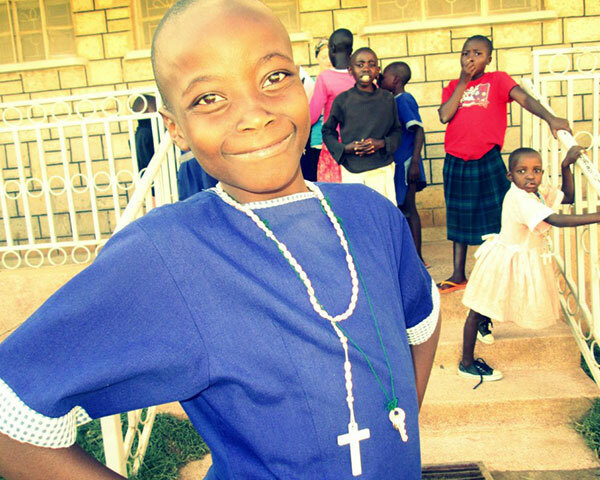 Ancilla Boarding and Day Academy is meant to provide love, care, food, clothing, shelter, holistic formation, solid education, and skills to orphaned and vulnerable children - especially the girl-child - left out in various parts of the country to survive on their own. This program takes full responsibility for every child adopted for assistance. Solid formation and education offer the only practical way for these children to obtain skills needed to become self-reliant, take care of themselves and their siblings, and be freed from various forms of social injustice, violence, and poverty. Currently the school has many children from surrounding families simply because the school is not complete and cannot fund orphans only. We are hoping to create a sponsorship program that will increase the number of orphans in Ancilla Boarding and Day Academy so they, too, will have a life full of hope!